For assurance of quality, you can always turn to Commercial Irrigation & Turf. We can install your irrigation system, to be sure. But we can also repair it if any issue arises. It’s important to get any problems taken care of right away so as to avoid larger problems down the road. From repair to maintenance, we are the ones to call. Commercial Irrigation & Turf brings 30 years of dedicated experience to your project, so why would you trust anyone else? 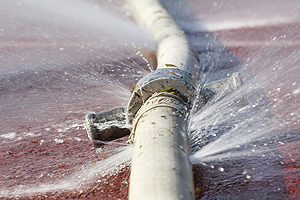 Our contractors can provide skilled irrigation repair Pekin IL needs for quality assurances. As a top contender in irrigation repair throughout Central Illinois, we service all of Pekin, as well as Peoria, East Peoria, Champaign, Springfield, Galesburg and surrounding areas. Through the use of application-specific tools and machinery, we can streamline the installation and repair process. 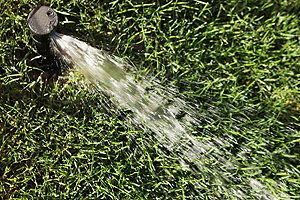 We even offer trenchless irrigation so your property experiences minimal disruption. Not only is irrigation repair critical when it comes to fixing immediate problems, it’s also key to improving water run-off and conserving water. As a result, you can enjoy a well-rounded, well-maintained landscape throughout the year. Whether your irrigation system timer is off or you’re experiencing an emergency such as a leak, call Commercial Turf & Irrigation at 309-698-3011. Alternatively, you can complete our online form or visit us in East Pekin at 109 Commercial Drive in the case of more routine repairs.